He explained it was “the notion of him as a threat to the region” because Saddam Hussein had used chemical weapons against his own people. Given this admission, are those pushing to impose a framework for global warming sure it’s smart to have Blair as a keynote speaker at Copenhagen? Following the ‘climategate scandal’, Mr Blair said the science may not be “as certain as its proponents allege”. But he said the world should act as a precaution against floods, droughts and mass extinction caused by climate change, in fact it would be “grossly irresponsible” not to. 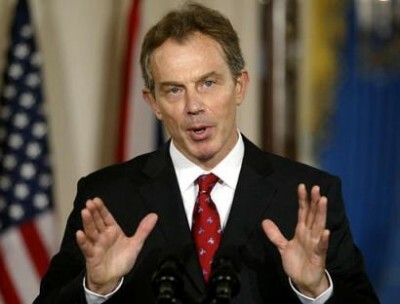 Whatever one believes about climate science, it is too easy to discredit Blair as a messenger. Whether you think global warming is an imminent threat or not, having Blair justify the cause with language eerily reminiscent of his defense for the Iraq war is not very effective. It is too easy to argue that – in both cases – Blair is saying that whether or not the stated reason is true, we must do it anyway. The Copenhagen framework would not significantly reduce carbon emissions (see this and this). Just as the Iraq war did not increase the national security of the United States. See this, this and this.